When you think about selling online, you think about a website selling specific products such as toys or clothing, with expensive set up and maintenance fee’s you may think about selling your products through eBay. Somewhere you may not think about is Amazon, your big online bookstore has been seriously branching out over the last decade, and one service it now includes allows you to sell your items to Amazon customers. Say you want to buy a new DVD, I chose the Disney DVD ‘Up’ for example, and just like anywhere else I shop I drop some keywords into the search box at the top of the page. The image below demonstrates the results you would get from this search, what’s more it shows you just how much power your item can have to a buyer who is buying from Amazon. So from a buyer’s perspective it is easy to see why the Amazon Marketplace is becoming a success. 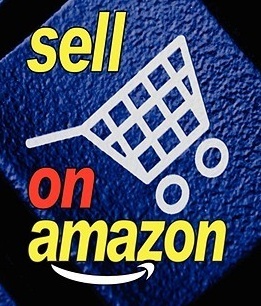 So the next thing you are wanting to know is how you can use your items to tap into this marketplace, well selling an item using Amazon is simple and easy once you have registered a seller account with them (5 minute job) you can search for the items you want to sell and click on a button which says sell one of these items, then you select the condition of the item, add a description, a price, and a quantity, and then your on your way. Depending on what you are selling you can see increased sales on Amazon in comparison to eBay. While the marketplace is becoming more popular with buyers and sellers alike for sellers it is still not as popular which means the competition in this market is lower. Again dependent on what you are selling there are less fees than on eBay. One of the greatest benefits to selling on the Amazon marketplace is the fact that the funds go straight into your bank account, no messing around transferring your payments and your fees are deducted from every item you sell. What if I wanted to sell an item, which Amazon didn’t already sell? Well in order to sell anything on Amazon UK it requires the product to have a barcode. If your product doesn’t have a barcode then you have two options. The first is less costly, and would require you to contact the manufacture of the products to see if the item already is set up with a barcode. Alternatively you can go direct to purchase barcodes from external suppliers. What’s even more confusing is that certain products require certain codes; for example if you want to sell a book, they would have course require a ISBN, but if you wanted to sell for example a greeting card then you would require a standard UPC or EAN code. So I suppose the next question would be well how much is all this going to set me back, well I suppose its not as simple as that either you see barcodes have come along way since they were first created and some codes can be used to track items in the postage and packaging stages of an order, they can track inventory levels, or sales, so before you even think about the cost you need to think about exactly why you are wanting a barcode for your item, and it may not be just that you are selling your items on amazon, it maybe that you are now having your products sold in a shop of your own, or someone else’s. Going for a basic barcode – UPC or EAN you can look to pay around 40p that is of course if you sign up to buying 1,500 barcodes, and like we all know, the more you buy the cheaper they become. « Oprah Winfrey can’t compete with our Lance Armstrong offer!